Front of the recipe card for Baking Powder Biscuits. 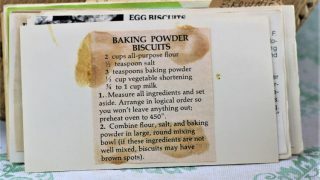 There are lots of fun recipes to read in the box this recipe for Baking Powder Biscuits was with. Use the links below to view other recipes similar to this Baking Powder Biscuits recipe. 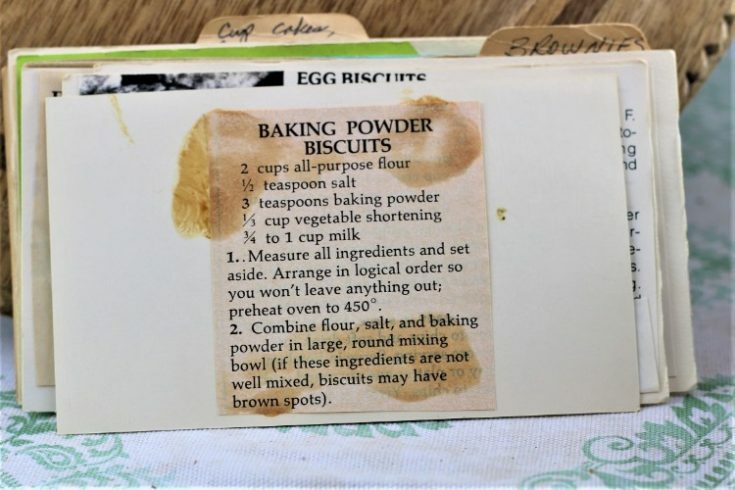 If you make this Baking Powder Biscuits recipe, please share your photos and comments below! Arrange in logical order so you won't leave anything out; preheat oven to 450°. Combine flour, salt, and baking powder in large, round mixing bowl (if these ingredients are not well mixed, biscuits may have brown spots).